Last week you received a Call To Action from both CEC and CASE. When you get two, especially within a short period of time, what do you do? You do BOTH. There is a reason you received multiple requests: it is important! In case you missed some of the great information, you can get this terrific, ready to use, cut and paste TOOL KIT. Remember not only can you send multiple letters, but you should also activate any membership groups you are a member. Don't miss out on this huge opportunity to make a difference in this fight for our most vulnerable students! Your action is critical. Speaking of action ... Did you nominate someone for the CASE "G" Award last week? 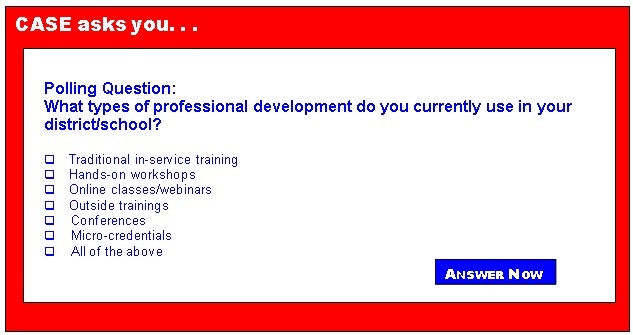 If you answer is no, then you still have time to get it in before the June 30 deadline! The information and nomination form are on the CASE website. What is the "G" Award? The Early Career Special Education Administrator Award is presented to a Special Education Administrator who is a member of CASE and in their first three years administering special education programs and/or services, and who embraces 5 of the pre-selected values. Members of CASE can nominate a Special Education Administrator in their district/school who exemplifies the values by telling their story and how they support their teachers enabling them to go above and beyond for children with disabilities. The winner receives a $1000 check to be used for "fun" and not school items. This is a great opportunity to encourage a new administrator! And while we are on the whole "important" theme, have You Registered Yet for the Special Education Summit? We have filled up the Westin and are now working with the Residence Inn that is very close so book your room now! We especially need registrations from these states that are not represented in the over 200 people who are attending: Alaska, Colorado, Delaware, Iowa, Maine, Mississippi, Nevada, Ohio, Rhode Island, South Dakota, West Virginia, and Wyoming! More than ever before, we need to have EVERY voice in D.C. this summer. For the last 14 summers, CASE has convened a group in Washington DC to learn how to make a difference back in our district by talking with the folks up on the Hill! For the last two summers, we have joined forces with CEC to make our footprint even bigger. We were so successful, last summer we had to turn people away due to the size of the hotel we were using. This year we moved to a bigger hotel! We are so excited to be just up the road from where we were last year — same metro stop — at the Westin Alexandria. We will not be turning anyone away this year! We hope to have teams from EVERY state as we gather on Sunday afternoon, July 9-Wednesday, July 12! Check out the flyer and then head on over to the dedicated website and register! Don't forget to reserve your hotel rooms, as the second hotel is filling up fast! This summer is going to be a critical year for us to help educate our congressional delegations on our communities, our students, our staff and our needs! Hope to see you in D.C.! Early Bird Registration for the 2017 CASE Annual Conference is open! Kindel Mason (ID), CASE Professional Development chair and his committee have put together an amazing program ! The 27th Annual CASE Fall Conference will be held at the Nugget in Reno, Nevada, Nov. 2-4. Now is a great time to go ahead and reserve you room at the Nugget at the amazing group rate of just $81 a night — and that includes your airport to hotel and back transportation! We are working on registration and hope to have it up in the next month. In case you are part of your State/Provincial leadership — the CASE Board of Directors will be meeting all day on Wednesday, Nov. 1 and the morning before the conference starts at lunch on Nov. 2! Mark your calendars! The question last week was "If you had some 'extra' time to just read and explore, which of these topics would you choose?" We had our largest number of respondents in the last 6 weeks on this question and the answers were pretty well distributed. The number one answer was a tie at 25 percent between Growth Mindset and UDL. Second place with 20 percent was policy issues on special education. A close third with 15 percent was policy issues in education. There was a three-way tie for third place at 5 percent between STEM, Project-based learning, and 1:1 Technology. I think this question showed we all have a desire to learn more about various content even if we don't have much extra time to do it. The fact so many of you took the time to answer this survey shows you really do still have that spark for learning! CASE gives you many opportunities to learn — I hope you will let us know if we are hitting or missing the mark. We would love your input on what we need to be doing to meet your needs! Thank you again for all you do EVERY day for your district, your students, your staff and your community! Children and adolescents often rely on their peers for social and emotional support. In addition, many students may welcome the opportunity to function independently of teachers and parents, and feel that fellow students have a better perspective on their problems. Schools can take advantage of strong peer relationships by implementing a peer mediation program. With the commitment and training of school professionals, families, and the community, a peer mediation program can serve as a valuable resource for teaching students healthy conflict resolution skills and creating a positive school climate. As the U.S. Senate begins its work to address health care reform, it might be a good time to remind people of the actual number of children in this country that are covered by Medicaid and the Children's Health Insurance Program. The following links provide the number of children enrolled in Medicaid/CHIP by school district, county, congressional district and state. This information was created by Georgetown University, Health Policy Institute, Center for Children & Families. Rights of students with disabilities in public charter schools webinar now available! MISSED AN ISSUE OF CASE WEEKLY UPDATE? VISIT AND SEARCH THE ARCHIVE TODAY. Medicaid services for children in jeopardy — Tell the Senate today to vote no! Special Education Legislative Summit registration now open! Can DeVos assure federal protections for special education students using vouchers? Which kids benefit most from summer reading? What should my gifted child be doing over the summer? Stemming the tide: Are public school districts keeping the best and brightest teachers? Social skills matter, but how do we measure and grow them in the classroom? 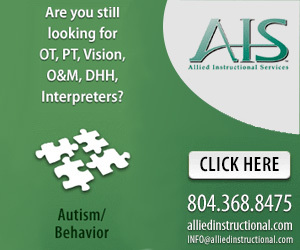 Summary: The purpose of this program, authorized by the Individuals with Disabilities Education Act (IDEA), is to assist state educational agencies (SEAs) in reforming and improving their systems for personnel preparation and professional development in early intervention, educational, and transition services in order to improve results for children with disabilities. Date: Applications Available: Feb. 13. Deadline for Transmittal of Applications: April 14. Deadline for Intergovernmental Review: June 13. Deadline for Transmittal of Applications: March 6. Deadline for Intergovernmental Review: May 3. Summary: Notice inviting applications for a new award for fiscal year (FY) 2017. Personnel Development To Improve Services and Results for Children With Disabilities—Interdisciplinary Preparation in Special Education, Early Intervention, and Related Services for Personnel Serving Children With Disabilities Who Have High-Intensity Needs. ensure that those personnel have the necessary skills and knowledge, derived from practices that have been determined through scientifically based research and experience, to be successful in serving those children.